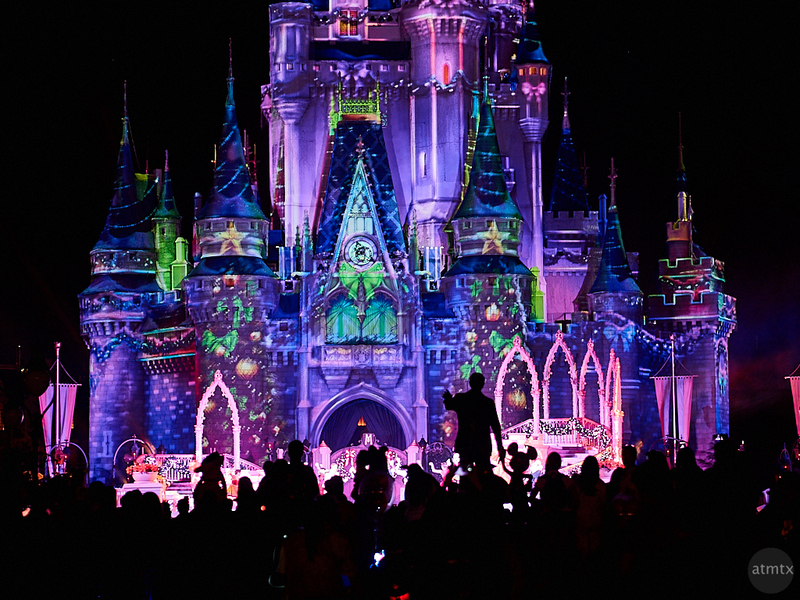 Do you see Walt and Mickey? They’re in the crowd. Two of the many silhouettes, watching the holiday show — they stand out just right of center. The Cinderella Castle is decked out specially for the season and I shot it as I left the show early, to go back to the hotel. I made this just a few minutes after I took this photo of the stage performance, at around 11:30pm. I realized that the silhouettes looked especially nice against the color and I double back for one last photo. Up close, I used the same Olympus 90mm equivalent lens and made this closeup of Walt Disney and Mickey Mouse. Part of me wished that I could have waited until the end, after the crowds dispersed. Just getting Walt and Mickey alone would have made a simple, more graphic presentation. But, on the other hand, having those two as part of the crowd, works on another level. 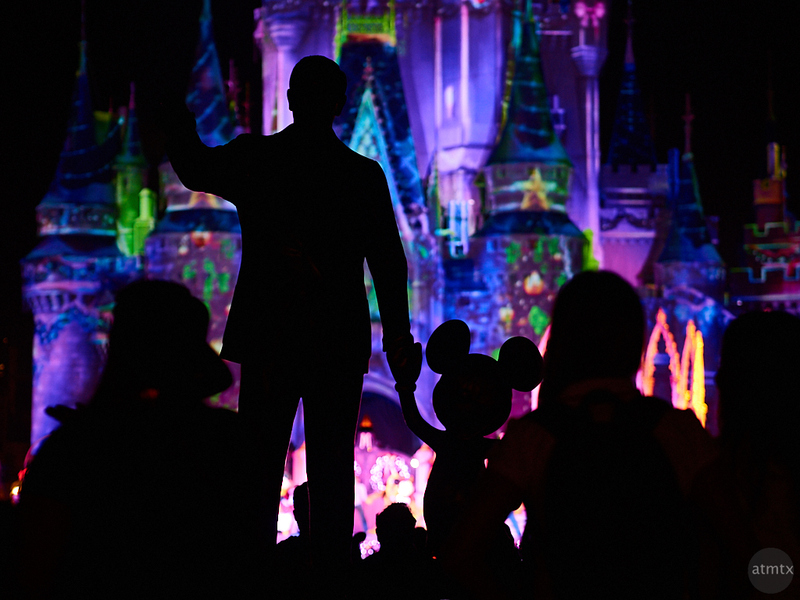 That the founder and Disney icon, belongs with the people who loves them and what they have built. Always gratifying when, after taking the time, that ‘second shot’ really works. Thank you, Randy. I like both shots but for different reasons. The important thing, I think, is that there are always many different shots within a scene.